I had no idea you could do corners this way, thank you for sharing. Im quite envious of the sewing licence as well. Wow, it's like magic! I can't believe you can get a sharp corner like that without clipping seams! Thanks for sharing - this is definitely one of those revolutionary techniques. Wow, what a simple tip. Thanks for sharing! Oooooooh great tip :D And I LOVE the ring you have on your left middle finger. Beautiful! Chrystal, thank you, the ring is my mum's class ring from high school. Oh wow this is awesome! Thank you for sharing the tip. I can't wait to try it out. I found you through a link on the Craft blog. Thanks for the great tutorial! 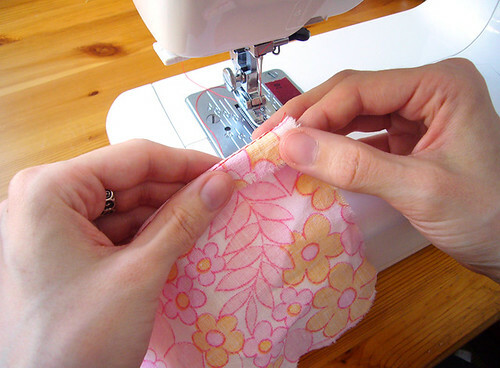 I've been sewing all my life and have never seen corners done this way - I always trim the corner at an angle and then turn but am always afraid I'll cut too close. I'm definitely going to try 'your way' the next time I have a corner to sew! Wow! Thanks so much for sharing this. I can't wait to go try it out! What!?! This looks too good to be true. I'm going to give it a try. I'll report back as soon as I'm done! 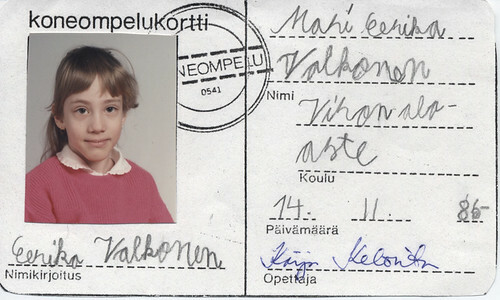 i love that sewing machine license. so clever! question...while i thought this tutorial was brilliant, i have to say, i was taken by the fabric you used! i love it. do you have any info on it? Fabulous. A total lightbulb moment! I'll never do a corner the same way again. Thanks! 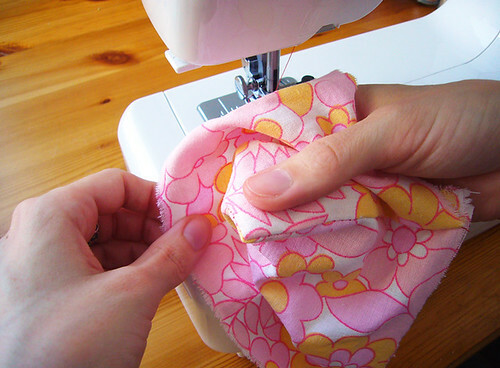 thanks so much eerika for your reply about the fabric in this tutorial. i thought that might be the case! i collect "vintage" sheets and fabric as well! :) that one you used is just so pretty. i love the colors. Wow, that's great! Thanks so much for the how-to, I would love to link to this if you didn't mind. I love that fabric also! Rachel, it'd be super for you to spread the link! :) It's great that people are sharing this and spreading knowledge. Whoa!! That's AMAZING!! I love this idea. I'm definitely going to share this! Pockets ARE the biggest hassle to make I found. Thank you for this awesome tip! I am always unhappy with my corners and this will be a big help! This is brilliant, just did 4 perfectly - there's no going back! Thanks so much for sharing. Fascinating! I'm just about to start a very cornery project and this is exactly what I needed. Thanks!!!! What a great tip, I have never seen this before! 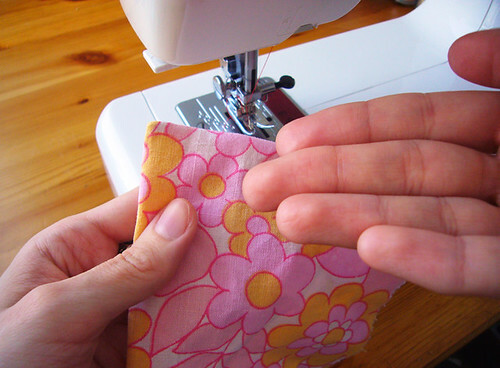 How is it that even after 45 years of sewing I have never come across this trick? I love it thanks so much! Cannot wait to try it. Thank you for sharing your knowledge. It's through tips like yours, I've become an even better sewer! Oh my!! I've been sewing 20+ years and have been doing my corners the hard way! Thanks so much for sharing this little tip! I love it - new, yet so obvious that I can't believe it hasn't been done before. Ohhhhhhhh this is going to make the slip pockets inside my bags so much tidier. I always have such messy corners. Thank you soooo much for sharing! Great post. 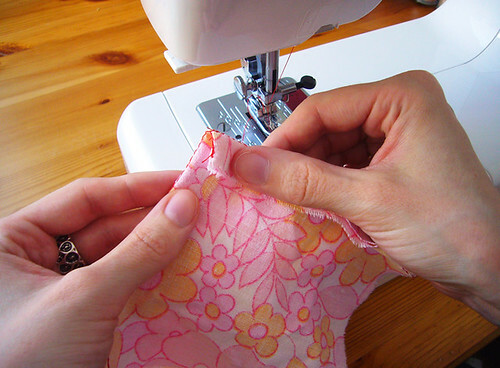 Sewing is really one of the best and productive habits an individual can gain. 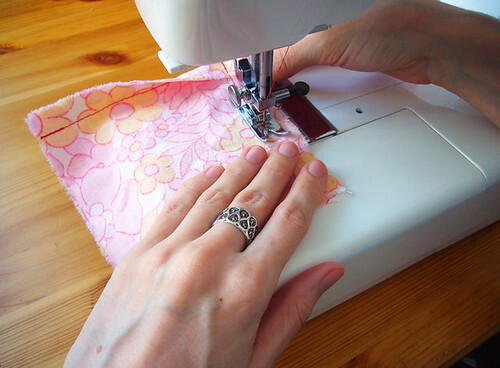 You can also do sewing for duvet covers. This site is informative: http://bestbedcovers.com/. Thank you, I had no idea you could do it like this! This is so amazingly useful! Thanks so much for the tip. Perfect corners(or the lack of) have been the bane of my existence! Thanks for the how-to-do them correctly! Thank you!!! I have never seen this tip! This is invaluable! Thanks for the tutorial on corners. That is sooo cool. 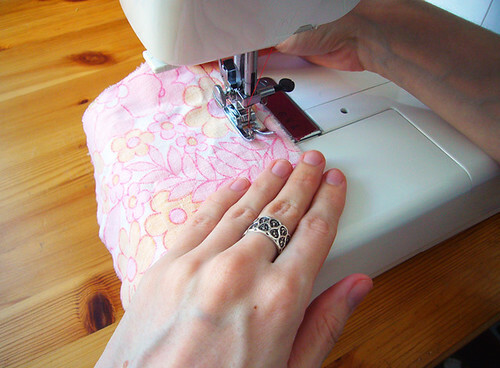 The license to sew is a great idea (will use it for my grand daugthters. Thanks again. Nice info! I will try this next time. Would this work on quilt corners? I'm making pocket organizers for my daughters using scraps of fabric from dresses I made them when they were little. I've done the pockets for the first one and was less than satisfied with some of my corners. Searching the Internet, all I found were the same methods I already knew, which weren't working! I love your method, and second daughter's organizer will definitely have better pockets! wow, i sew a lot of fabric books and will try this today! Thank you for this GREAT sewing tip! Can't wait to try it on my next project. Thank you so much. I have to try this soon. Wow! 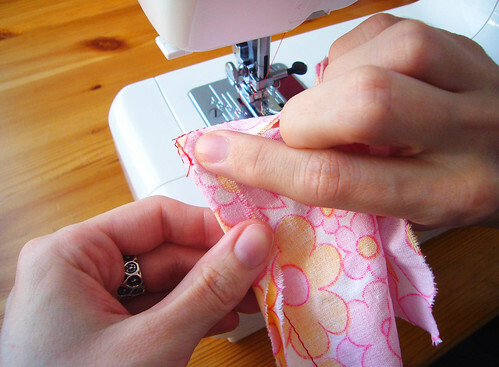 I've been sewing for nearly 30 years and learned something new today! Thank you for this technique. Def. will be using it often! Wow, you make it look so easy. I would love to be as good as you. Gotta try this new technique!